This week is National Volunteer Week and we want to take this opportunity to salute and recognize our TVC National Volunteer Corps for their pro bono service to veterans, their families, caregivers and survivors. Their willingness to donate their quality legal talents has an enormous impact on the lives of our nation's defenders. Each month in our Volunteer Inspiring Pro Bono (VIP) section, we highlight only one member of our amazing TVC National Volunteer Corps who works with us. But there are countless others winning cases. We are grateful to have them as members of our team fighting for justice. To date, they have donated over $110 million in pro bono services on nearly 6,000 cases for veterans and their loved ones. 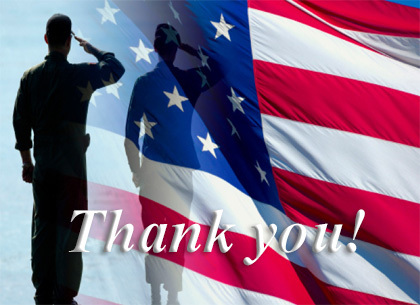 Please accept our heartfelt gratitude for your service! In the words of a grateful client, a Korean War veteran from California: "I find what my attorney has accomplished nearly miraculous. The quality of my legal representation could not have been better. The Veterans Consortium Pro Bono Program is truly a godsend." A glance at Adam Hess' biography on the Venable LLP website, where he is a partner, leaves one to wonder how he would ever find "free" time to delve into other interests. But Hess, an Intellectual Property attorney who works in patent infringement litigation says he finds plenty of time to volunteer, pursue family time and passions of snowboarding, mountain biking, backpacking and golf. For the past 13 years, that "free" time has included pro bono work for The Veterans Consortium, tackling six cases. For his diligence and perseverance with these cases, Hess, 52, has been chosen as The Veterans Consortium Volunteer Inspiring Pro Bono (VIP) for April 2018. 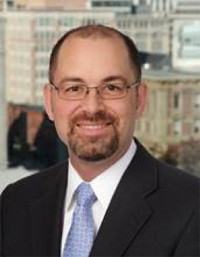 Hess received a chemical engineering degree from Lehigh University before going on to The George Washington University School of Law. Although he says his practice doesn't focus on any one particular technology, "I use the technology I learned as an undergraduate in all of my cases." 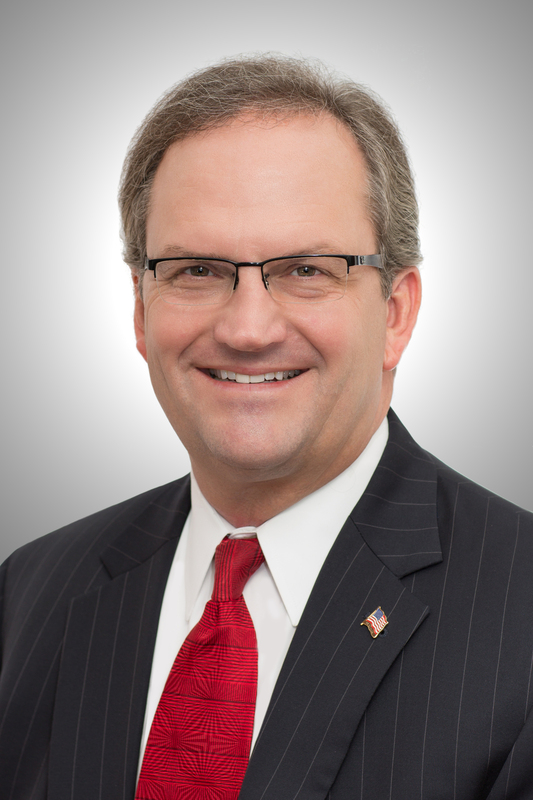 But what he mostly sees is a great difference in Intellectual Property law and Veterans law. In honor of National Vietnam War Veterans Day, The Veterans Consortium Pro Bono Program® participated in two Vietnam veterans outreach events: the Hospice of the Chesapeake Welcome Home Vietnam Veterans Day celebration on 29 March, and the Gilchrist Welcome Home Vietnam Veterans Day celebration in west Baltimore on 30 March. Dave Myers, Esq., greets two Vietnam veterans. Dave Myers (CDR, JAGC, USN, Ret. ), TVC Director of Program Development, attended both these events, which honored Vietnam veterans and provided them with information and support resources. Dave, a Vietnam era veteran himself, spoke to veterans at both events about TVC's work appealing Board of Veterans Appeals (BVA) decisions before the US Court of Appeals for Veterans Claims and the TVC Discharge Upgrade ProgramSM. On 28 March 2017, the President signed the Vietnam War Veterans Recognition Act of 2017. This act officially recognizes 29 March as National Vietnam War Veterans Day. Vietnam Veterans Day commemorates the sacrifices of Vietnam veterans and their families and is part of a national effort to recognize the men and women who were denied a proper welcome upon returning home more than 40 years ago. After a successful experience last year, The Veterans Consortium Pro Bono Program® was eager to invite local law students to participate in Alternative Spring Break (ASB), a part of our TVC Legal Scholars ProgramSM. While many college students flock to the beach, participants of the Alternative Spring Break are provided the unique opportunity to volunteer for a local organization to get hands-on experience in their field of choice. At The Veterans Consortium, our volunteers received training on a wide range of legal issues from administrative law to appellate work before the U.S. Court of Appeals for Veterans Claims (CAVC). Samantha Stiltner, a TVC staff attorney, led volunteers in their training, and provided them with tasks that related to the full lifecycle of a veteran's case, including intake, research, strategy and drafting assignments. She describes ASB as "a fulfilling opportunity to work with veterans who have a real-life need. 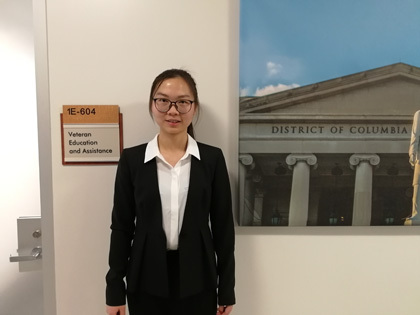 In doing so, the students get hands on, practical training working at a federal court while providing valuable legal resources in a pro bono setting." This year, TVC was excited to invite Angelic Papacalos, an American University law student, and Jinmeng Li, a Georgetown University law student, to join us for the week. "I really enjoyed my time working for The Veterans Consortium during spring break," Papacalos says. "I worked on case evaluations and sorted through case documents for evidence regarding specific issues on appeal. I learned a lot about service connected disabilities and the process for veterans to get benefits, including appeals." Interested in applying for Alternative Spring Break 2019? The opportunity is designed for law students in the DC area who are available for the duration of their spring break. To apply, students should contact the pro bono coordinator at their university. "The Alternative Spring Break is your chance to make a difference using your skills and drive to make a very real impact on a veteran's life and circumstances," Stiltner says. "We hope you join us!" Angelic Papacalos, American University and Danica Gonzalves, Esq. Memorial Day is fast approaching. I hope that you will join us on Monday, 28 May in honoring those who "gave the last full measure of devotion." You may recall that members of our TVC National Volunteer Corps and staff marked those sacrifices this past December by participating in Wreaths Across America local events. Next month, I hope you can join TVC in marking the Memorial Day national holiday. There are many fitting events to consider including Runs for the Fallen (in many states), Memorial Rides (motorcycle and bicycle), and the National Moment of Remembrance. Established by the U.S. Congress in Public Law 106-579, in December 2000, the National Moment of Remembrance asks Americans to pause in an act of national unity for a duration of one minute at 3 p.m. on Memorial Day. The time 3 p.m. was chosen because it is when most Americans are enjoying their freedoms on this national holiday. The moment does not replace traditional Memorial Day events; rather, it is an act of national unity in which all Americans, alone or with family and friends, honor those who died in service to the United States. During this moment, some 200 Amtrak trains will blast their whistles; approximately 500,000 Major League Baseball fans will join in silence; and countless other participants will make a vow to remember. So whichever means you choose — Run, Ride, or Remember — we hope you will join with TVC in making this Memorial Day a truly meaningful celebration. And a special thank you, this Memorial Day, to our TVC National Volunteer Corps, mission partners, supporters, and sponsors for helping our Veterans obtain the care, benefits, and compensation they were promised through the best legal services, free of charge, to meet their challenges. The Veterans Consortium Discharge Upgrade ProgramSM held a discharge upgrade clinic at the DCHires event hosted by the DC National Guard, the Mayor's Office of Veterans Affairs, and the DC Department of Human Resources on Wednesday, 4 April 2018. Members of our TVC National Volunteer Corps met with Veterans in need of discharge upgrades for their Other Than Honorable (OTH) discharges for conduct related to post-traumatic stress disorder (PTSD) and traumatic brain injuries (TBI). The Veterans Consortium Discharge Upgrade ProgramSM has assisted more than 220 veterans in the past ninety days alone. 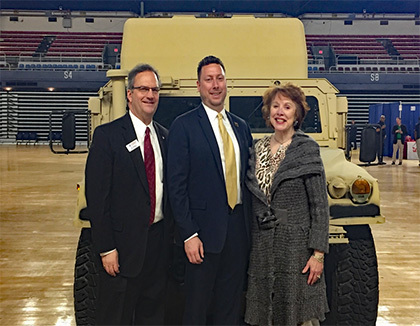 The DCHires event at the DC Armory offered veterans and family members an opportunity to participate in professional development workshops and connect with district, state and federal agencies, private-sector companies, and service organizations. More than 400 veterans and their spouses attended the event. We want to thank the following members of our TVC National Volunteer Corps on behalf of the veterans, their families, caregivers and survivors we serve. From left to right: Ed Glabus, Executive Director TVC; Ely Ross, Director, Mayor's Office of Veterans Affairs (MOVA); and, Mary Ann Gilleece, Chairman, TVC Executive Board, at the DCHires event held 4 April 2018.